Amazon had a successful holiday season last year, 2017 creating a record of more than three million new sellers joining Amazon Prime in the third week of December, alone. Cyber Monday recording with the highest spending day in the United States ever in the history, Amazon was rated as the most visited retail properties during that day over desktops and smartphones. Sellers, who have already been a part of Amazon Holiday Season 2017, surely may be expecting another big boost in their sales growth during Holiday Season 2018. And, like many other Amazon sellers you might be gearing up for performing the best during the upcoming holidays. But, a bunch of holiday gifts being returned can leave you scratching your head trying to figure out Amazon return policy for the buyer. FBA sellers may already be aware of Amazon’s Holiday Return Policy, that is allowing sellers an extended returns window. Products shipped using FBA between November 1 and December 31 can be returned until January 31, subject to other Amazon guidelines. What can be those key questions in seller’s mind for processing Returns with Amazon? Sellers who ship products via Amazon FBA, including warehouse deals and Amazon Prime Members are automatically eligible for Amazon returns window. While products fulfilled by directly by sellers themselves or third-party shipping providers, have to manage their own returns. Q1- What products are eligible for Amazon’s returns window? Amazon devices that include Kindle e-readers, Amazon Tap device and their accompanying Amazon branded- accessories are eligible for a 30-day return window. Amazon Device Returns FAQs can provide detailed instructions for returns of such products. Baby products are eligible for Amazon 90-day return window. Collectibles products (sports & entertainment) with the value of $35 or more are eligible for returns, however, a trackable shipping method of returns is suggested and value above $500 must be insured. For collectible coins, the returns window is open for 30 days and suggested to contact third-party sellers for receiving the returns information within 14 days of the purchase receipt. A trackable shipping method is suggested in the case of collectible coins too. In the case of Computers (desktop & laptops), Amazon offers a 30-day returns window. Returns for such products are accepted due to damaged product received, or, products received in a not a working condition. Books purchased from Kindle Store can be returned within 7 days of purchase. Fine Art products with the value of $35 or more are eligible for returns however, a trackable method of returns is suggested and value above $500 must be insured. For Handmade products, Amazon suggests notifying third-party sellers within 14 days of the receipt. However, in the case of mistake (misspelling print) by the third-party provider, sellers can opt for Amazon A-to-Z guarantee. In the case of Jewelry and Watch products with a value of $35 or more should be returned via a trackable shipping method. For Television the Amazon returns window is open. However, for such products that are shipped without Enhanced Delivery will only be accepted if returned in the same unopened condition. And, to return such product shipped via Amazon Enhanced Delivery the return will be accepted if received in like-new condition. The carrier will come to pick and pack the products for returns in their own packaging material. To know more about Amazon Enhanced Delivery, please click here. For all products sold under Wedding Registry, Amazon returns window is opened for 180 days if purchase as a gift, while 30-days for products purchased for themselves from their own wedding registry. To know more about products sold under Amazon Wedding Registry, please click here. Q2- Does Amazon restrict any product from its returns window? Yes, Amazon does exclude Fresh items, Digital products, Gift cards, Hazardous material, Fresh flower, Indoor plants and insects, Grocery and Wine, Prepaid phone cards, Prepaid games, and Theme park tickets from their returns window policy. Q3- What products are eligible for Amazon replacement window? Amazon considers Automotive products open for its replacement window in the case of a defective piece that has a manufacturer’s published warranty. Q4- What products are eligible for Amazon refund window? Products designed by Amazon also known as Amazon elements that include Mama Bear and Happy Belly products are open for a 365 refund window, for those consumers who are not at all satisfied. In the case of Amazon Fresh Items, Amazon is open to a refund window. For products falling under Automotive category will be refunded in the case of no replacements. Amazon also allows computer products eligible for its 30-day refund window in the case of damaged and not working condition. Books purchased from Kindle Store can be returned for a refund. And, once refund issued the customer will no longer have an access to the book. Fresh flowers, Live indoor plants or Insects, Grocery and Wine are also accepted under Amazon refund window. Q5- What products are eligible for exchange? Kindle books are eligible for exchange for an Amazon.com Gift Card before product delivered. Q6- Does Amazon provide a free returns shipping benefit? The cost involved in arranging returns shipment can be a major concern for many sellers who can expect a large number of returns request after the holiday season. Baby products fulfilled are Amazon automatically qualify for free returns shipping. However, products that have “Free Returns” mentioned on the product detail page will be eligible for the free returns shipping. Amazon will not refund the original shipping fees if not due to an Amazon error. This is required by Amazon as a returns documentation that becomes necessary for scheduling a return. Amazon returns documentation can also be accessed by clicking on “Manage Returns” from the “Returns Center”. 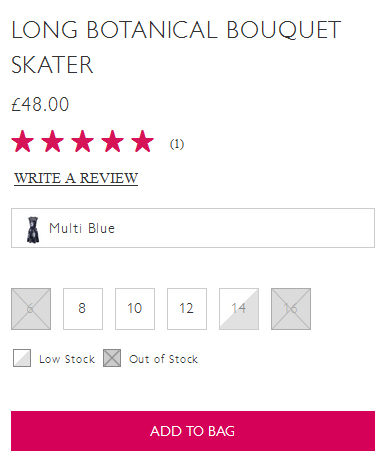 It is not suggested to request multiple products returns via the same package. Therefore, properly pack your products using the original package, in which the order was delivered, if not, you can use a sturdy box with safety padding to ensure your returns items are reached safely at Amazon. Don’t’ forget to include any paperwork if requested by the Returns Center and attach your return label to the package! U.S. Postal Service: Amazon allows sellers to print postage–paid mailing address, which in turn, can be attached to the returns package and get it delivered your local post office for shipment. Any Carrier: Amazon provides a returns shipping address, which in turn, can be attached to the package and simply pay the shipping service to process the returns shipment. UPS Drop-off: Get an access to Amazon’s prepaid shipping label, affix it to the returns package and deliver it to the nearest UPS store for shipment. Sellers can also track your package using this option, to ensure your returns package has been received by Amazon. UPS pick-up: Amazon will perform returns pick on behalf of the sellers, from the address where the product had been delivered. This can be safe options for sellers dealing with large or expensive products, eliminating the risk of damage during return shipment. Amazon Locker: This option allows sellers to drop-off the package at Amazon Locker within five days after printing and attaching the label to the returns package. Is there any way that I could avoid returns? Mostly sellers focus more on ensuring accurate inventory levels to fulfill every consumer’s orders that they receive during the holiday season. However, with the increasing number of sales orders sellers can expect higher returns too. Amazon Returns Policy is surely helping FBA sellers to secure their consumer’s overall shopping experience, however, I’m sure every seller will not want themselves to see a big difference in their overall revenue due to the cost involved in processing Holiday Returns 2018. The importance of products information varies from seller-to-seller depending on the category they sell. 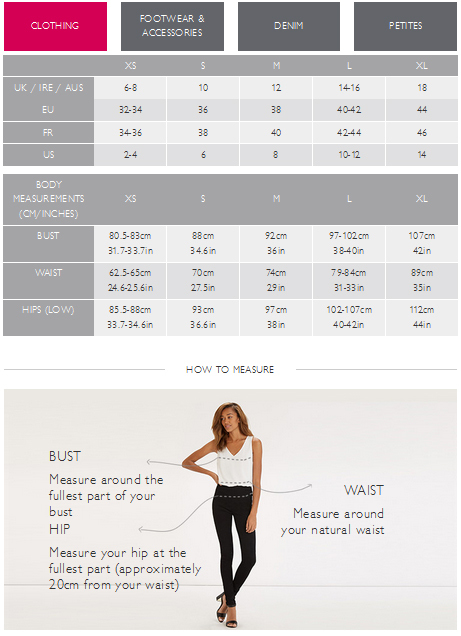 For instance, sellers dealing with apparel would understand the importance of relevant size- guide to ensure consumers can actually fit them and avoid the need of having to return it for a better product. Oasis surely offer the standard sizes for encouraging confident consumers to make purchases on-the-go. However, many consumers may still worry about landing with the product when it comes to shopping fashion online. This brand also allows its consumers an opportunity to accurately measure for the right size and ensure correct online purchases. Therefore, ensure your product information offers better insights to consumers while shopping from your brand. Irrelevant to the measurement you take for offering great product descriptions, there will still be consumers who won’t be confident about their purchase. However, just because you deal sounds great to them they may end up making wrong purchases and increase return rates for your selling business. Offering a real-time chat and call support can help you hold back confused consumers from leaving your site, or, even from making wrong purchase decisions. Having an ability to instantly connect with one of your experts can help them clear all doubts regarding their purchases and make informed purchases always. Last, but not the least is to ensure timely product delivery that can match consumer’s preferences. Amazon FBA (Check the step by step guide for Amazon FBA here) sellers don’t have to worry about fulfillment issues as it allows multiple delivery options for sellers to consumer’s purchase experience instead of them having to request for returns due to a longer wait. For sellers who fulfill their consumer’s orders on their own should understand the role of an inventory for in-time fulfillment. 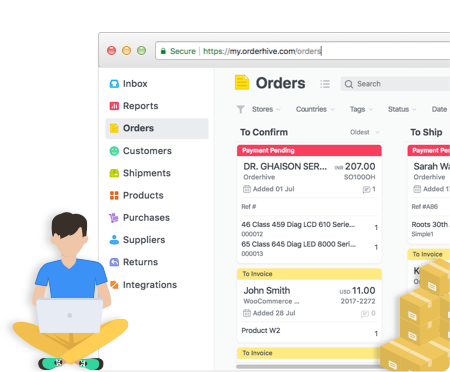 With the advancement of inventory management system, today, sellers don’t need to worry about the delay in delivery dues to stock issues. Offering sellers an opportunity to bring their Amazon and other store products at one place, they can eliminate the risk of stock-outs that directly delays order fulfillment tasks, especially during holiday seasons. The Amazon returns policy can surely be attracting for sellers, especially with its extended Holiday Returns. And, I hope by rephrasing it here, it can be easy and quick to understand the refunds/replacement benefits you can get for your customer’s returns while selling on Amazon.